If you have ever thought communication was an innate skills, then this book is for you. 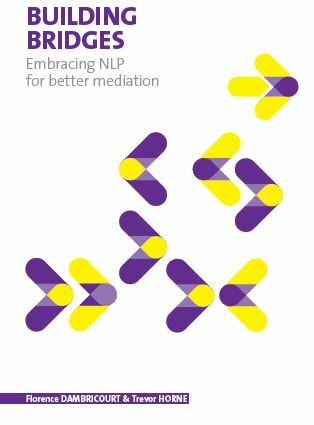 Through the exploration of the mediation process, the authors explored a clever framework on communication to facilitate building bridges across people. Get your own copy on amazon; and start building bridges. They read it. They loved it. Promote BUILDING BRIDGES in your work and your environment by booking a full day intensive training . Each training is tailored to company needs and audience, and run on demand. Review quickly our famous ABC &DEF of the NLP attitude and APPLY them. Share with us how you have been using the model. What I like most about this expression BUILDING BRIDGES is how we so easily want to be part of that bridge, either building it or crossing it; somewhere we all want to be agent of building bridges. And BUILDING BRIDGES, the English expression itself has fascinating stories to narrate around the world. We know words at times are in the driver seat. Latest research even tell us that words can modify who we are. Now, we are not talking about words such as… ^&%* or &*^*!& or any other &^*!~#$% words… though those definitely takes the lead at times… No. We are talking about those expression that seems to automatically activate some special imageries in our brain which move us, and often move us into action. Take for instance, “an arm and a leg”, the imagery is immediate and there is no need to debate that anything costing you an arm and a leg is more than expensive. Or, something like… “at the drop of a hat”, “Barking up the wrong tree”, “Burning the midnight oil”, “in the heat of the moment”, or with an hint of poetry today… “once in a blue moon”; whatever happens, we hear them, we see something. Some expressions are simply much stronger, we hear them, we move into actions, and none is as famous as… “Building Bridges”. “Building bridges” automatically creates a strong positive imagery about bridges being built and all the metaphors going along such as hand stretching, parties connecting, association, etc. When we choose our title with Trevor, we had no ideas so many sites were already using this expression; we had no idea there was already this wide community of people wanting to build bridges, and it’s amazing to know that our “embracing NLP for better mediation” is going to add many bricks and steps to all those bridges being built. For all of us who strive to base our world on communication and collaboration… Smile, Share, Listen, Communicate. The right communication is like a thousand solutions. The right communication is simply the foundation to any bridge!